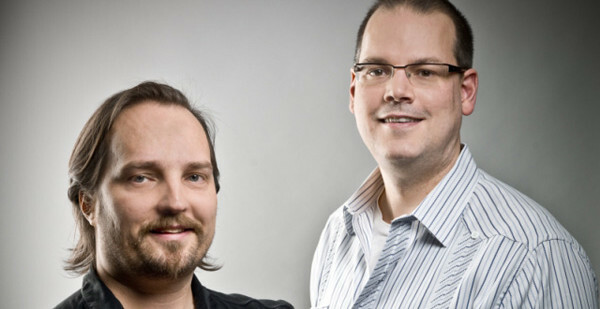 Bioware’s CEO Ray Muzyka and Vice President Greg Zeschuk have announced their retirement from the company after seventeen long years. The two doctors were heavily beloved among their fans for bringing the world such ground breaking role-playing titles as Baulder’s Gate, Neverwinter Nighters, Star Wars: Knight of the Old Republic, Jade Empire, Dragon Age, and of course Mass Effect. The two only had nice things to say about their partnership and acquisition by Electronic Arts, and wishes the two companies the best in the future. Hopefully this won’t be the last we see of the two as there have been others, such as Jason West and Vince Zampella, who have made a successful exit from their studio only to form a brand new entity in the process. Until then, though, we hope the best for Ray and Greg and thank them for all their hard work in shaping how video games are played today. Here you can find bothRay Muzyka and Greg Zeschuk‘s lengthy exit letters to the fans.